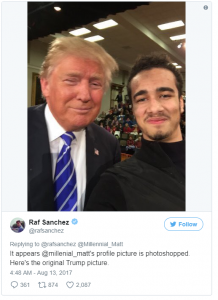 There is a photo of President Trump purportedly posing with a known white supremacist that has gone viral online. It has popped up everywhere within hours of the news of the chaos in Charlottesville, Virginia. There is, however, a small problem with the photo that so many liberal leftists have used to viciously attack our President with. This is but another fake hoax put together by some liberal crybaby in momma’s basement. This is what happens when people live off of handouts and are bored and have nothing better to do. We get fake, Photoshopped pictures of our President being used as an online smear campaign. At least the word has begun to get out about the liberal scam. The country watched in horror as white supremacists rallied in Charlottesville, Virginia, this weekend, resulting in shocking violence that left three people dead and dozens injured. The racially charged marches quickly resulted in critics linking President Donald Trump to white supremacists. 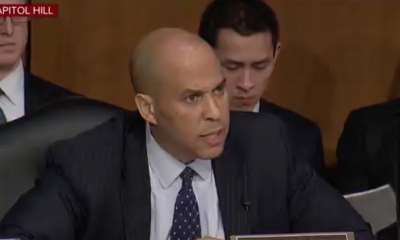 Many also criticized Trump’s response amid the grotesque display, claiming he didn’t use harsh enough language to explicitly condemn the white supremacist groups. It’s easy to see why. 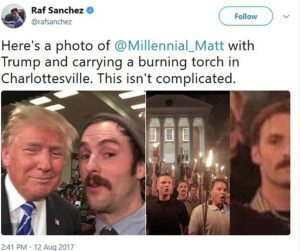 The president of the United States posing with one of the white supremacists seen marching in Charlottesville would certainly be significant. 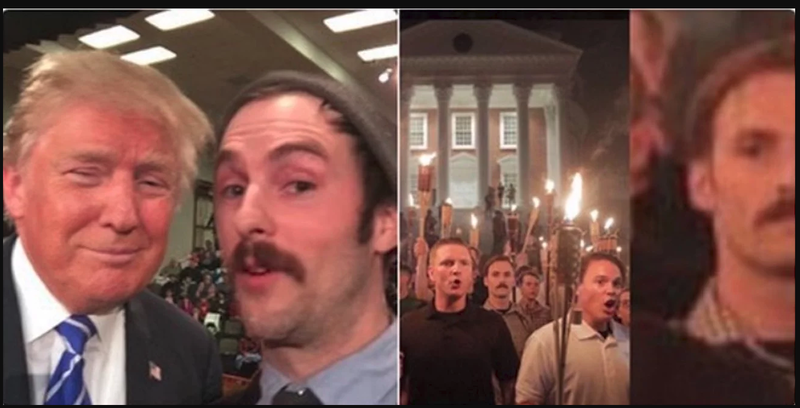 “Here’s a photo of @Millenial_Matt with Trump and carrying a burning torch in Charlottesville. This isn’t complicated,” Telegraph reporter Raf Sanchez tweeted. The tweet went mega-viral, getting over 25,000 retweets. President Trump is right about fake news. It is everywhere, and it is relentless. Liberals have nothing better to do. This is all part of a smear campaign meant to distract the public and spread negativity and chaos. Share this to expose how insanely fake liberal media is, and how quickly the shallow liberals will believe anything and everything they hear from their daily dose of fake news and reality TV entertainment (like CNN).